A survey in a recent edition of Better Homes and Gardens asked its readers: “If you were stranded on a deserted island and could bring only one luxury item, what would it be?” Do you know what the top 10 most common answers were? I’m told that the calendars would’ve ranked higher but most readers considered them a necessity rather than a luxury. I have to agree. 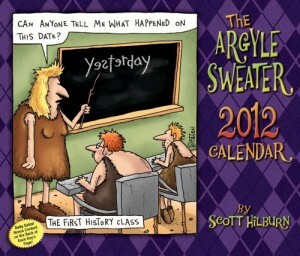 Anyhow, the 2012 calendars are now available – and as always, I’ll remind you just before the holidays in case you’d like to grab a few for your loved ones. 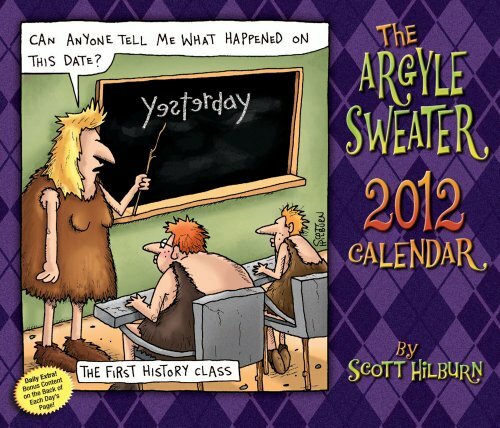 After all, if the special people in your life don’t get Argyle Sweater calendars for Christmas – are they really being loved?